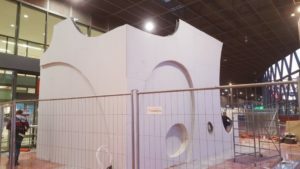 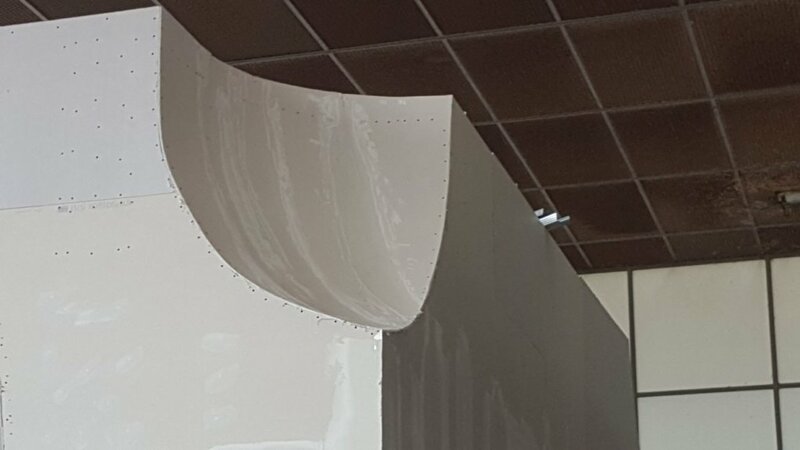 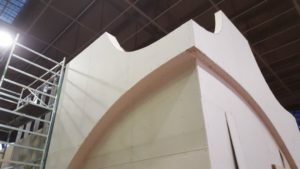 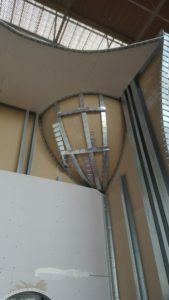 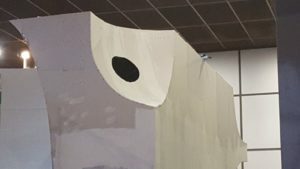 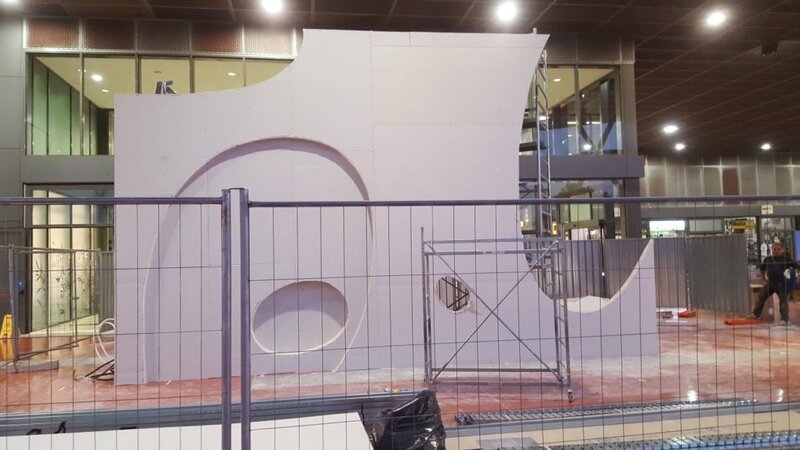 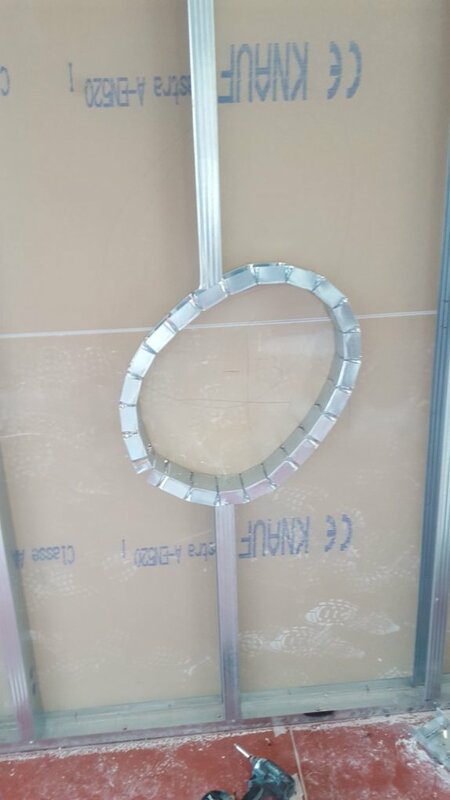 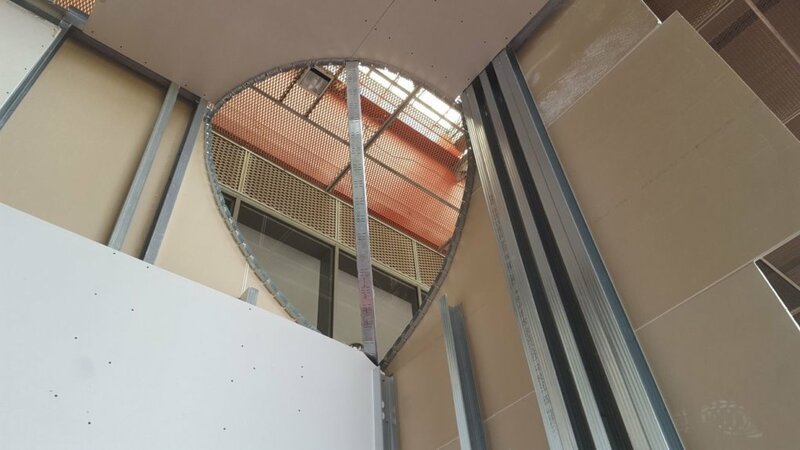 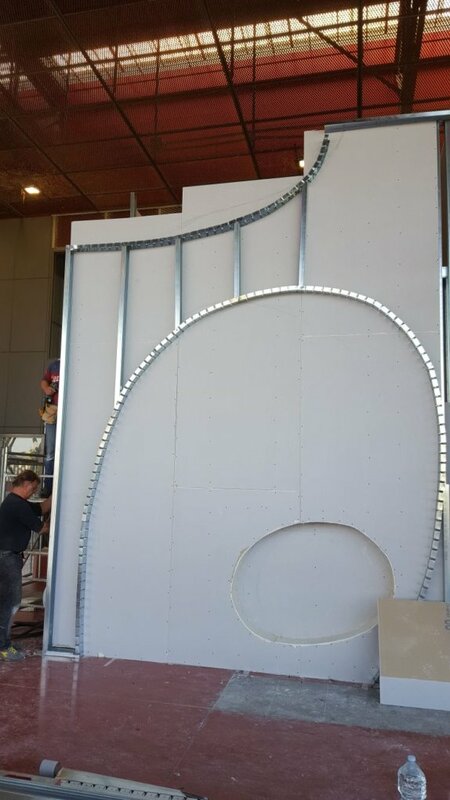 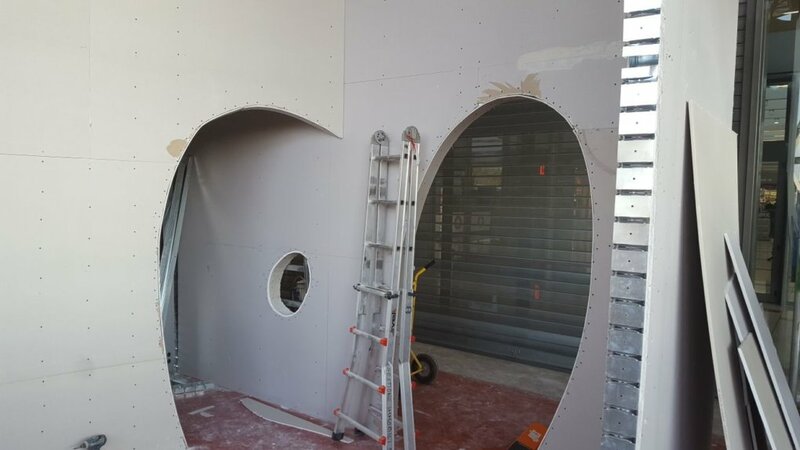 “BacoGigi” is an innovative plasterboard project with curving shapes realised inside the Empoli Shopping Center Coop.Fi. 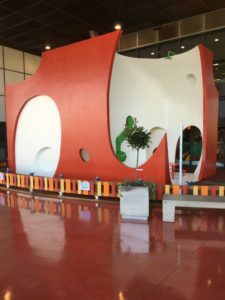 It is a multimedia area for children, the first in Italy inside a shopping center, which allows children to play by interacting with the projection of their drawings on the screen. 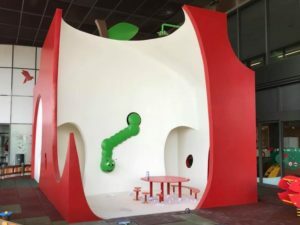 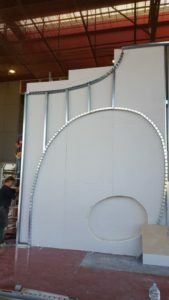 The Cobra flexible profiles were used to build a small white and red apple theater, with a green caterpillar, located inside the shopping centre playground. 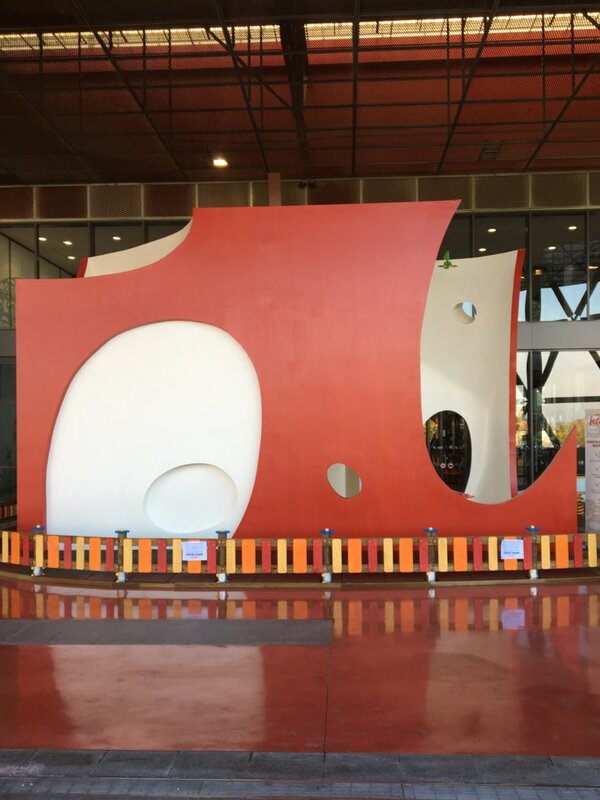 “BacoGigi” is composed by an external structure shaped as a red-eaten apple, and an internal structure of white color, that is the core of the apple, from which a green bug emerges. 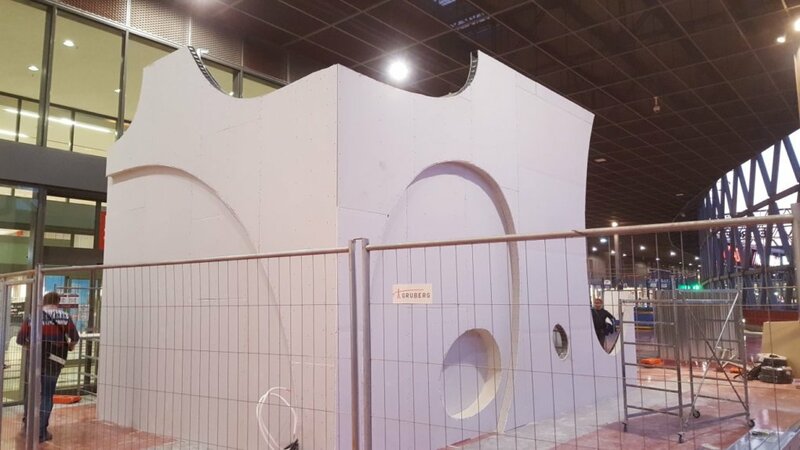 Our Cobra Flexible Profiles made possible to create the curved structure of the apple, outlining the peculiar shapes ideated by the young designers of IED in Florence. Thanks to the adaptability of our flexible profiles, the complex structure of the partially eaten apple was created in a short time and without the need of moulds. 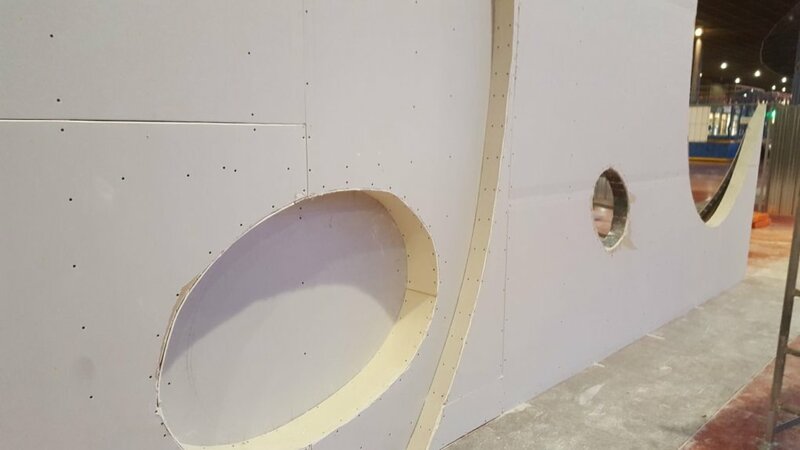 Moreover, thanks to the versatility of our profiles, some holes have been created in the outer part of the apple to stimulate the curiosity of children who can pass and play through them. 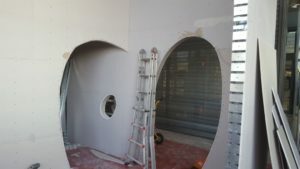 Afterwards, plasterboards and corian were used for the coating. 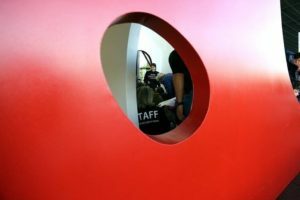 The interior of the apple contains an interactive multimedia room in which children can colour drawings, scan them from the head of the bug and load them into an animated landscape that will be the background to their adventures. 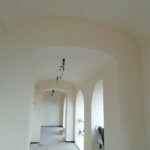 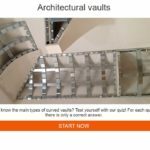 The project was designed specifically to meet the needs of children and to encourage their well-being with curvy and sinuous shapes created with our products.